The Helios has been refurbished recently. 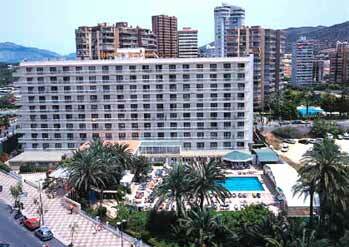 The hotel is centrally located in the Playa Levante area and is very close to the beach. A good selection of shops, bars & restaurants are nearby. The hotel has a good sized swimming pool with terraces and sun beds, a separate children's pool and a children's playground. There is occasional evening entertainment and games room. "Allocated Large Ground Floor Room"
I was concerned after reading some holiday reviews about the Helios, but was pleasantly surprised. We were allocated large ground floor room with a large terrace. It was kept really clean.